Ceiling spotlights are a very intelligent and stylish way to light up your home, and bring a very subtle and refined image to your interior. The direct style they have means they provide a very useful form of lighting to the room, and one which is filled with purpose and focus. On way to use spotlights in your household is through using bar spotlights, as they offer a very effective style of lighting which is perfect for lighting up a large area of space. The slim bar has a set of lights dropping down from it, and these tend to be sat upon an adjustable pivot allowing you to customise the light to face to areas where it will be most useful. Closely related to this, you can also use track lights in your interiors, which are ceiling spotlights on a fixed bar track which can be slid across to be used in the most useful area at all times. 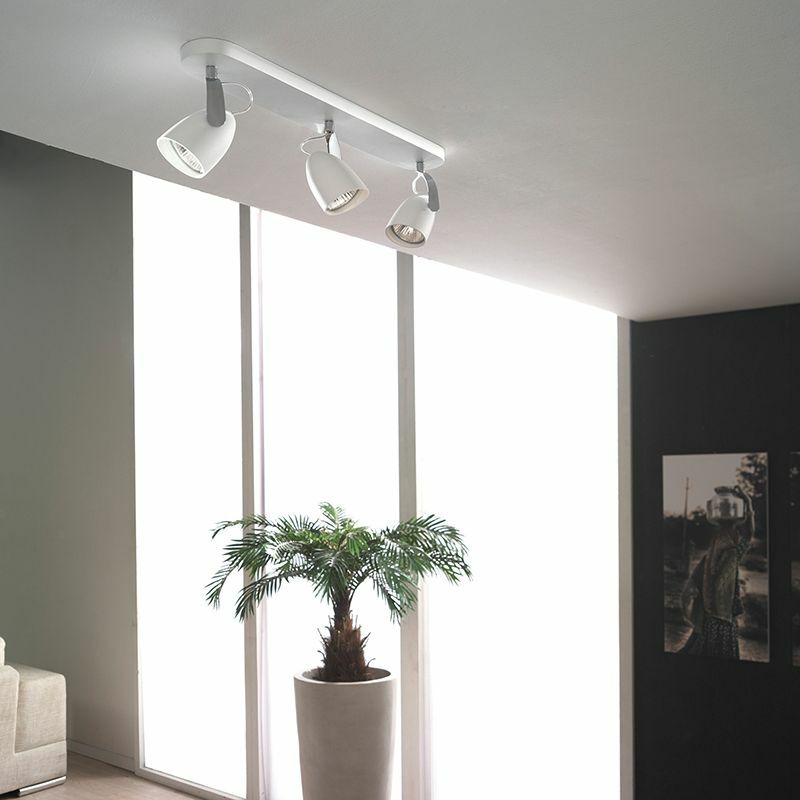 This track feature allows the fitting to be useful in a range of different areas from the same simple fixture. 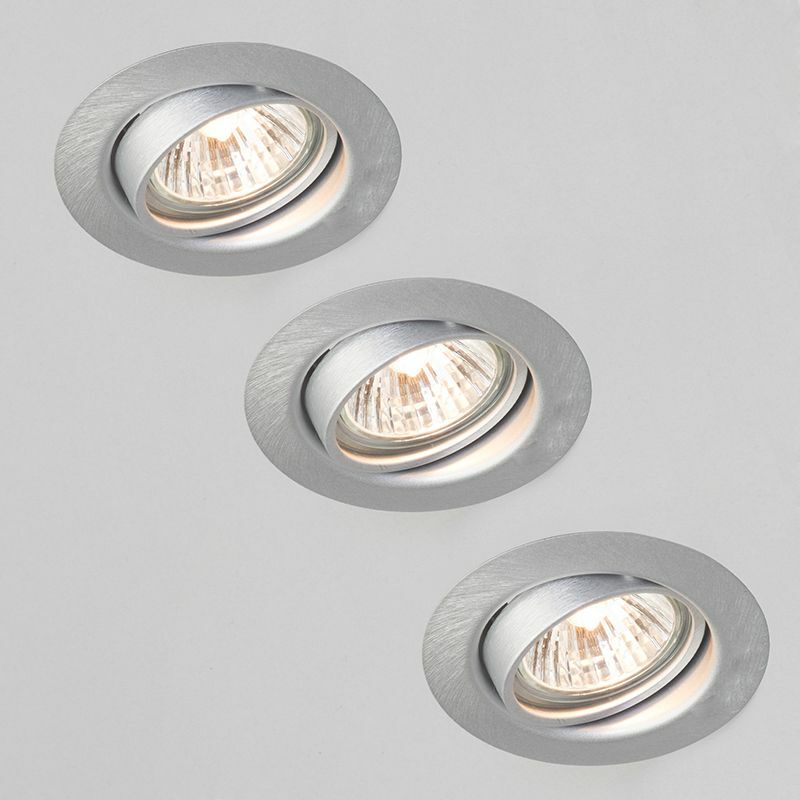 Spotlight plates also offer a stylish and useful form of lighting to your home, and operate in a slightly different way to the aforementioned spotlight bars. 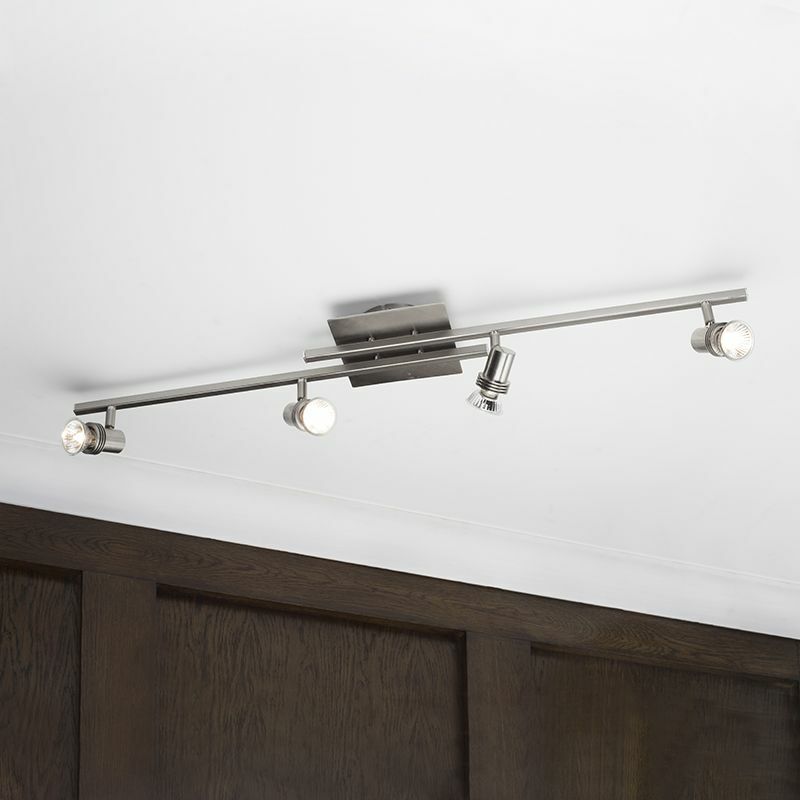 The spotlight plate has a flat base, and from this the lights hang down on a slim bar. These lights face out in an array of different directions to offer a wide spread of light, but can also be adjusted to suit the needs of your home. This kind of fitting is fantastic for use within homes that have low ceilings, as the small drop height allows them to work perfectly in this style of home. 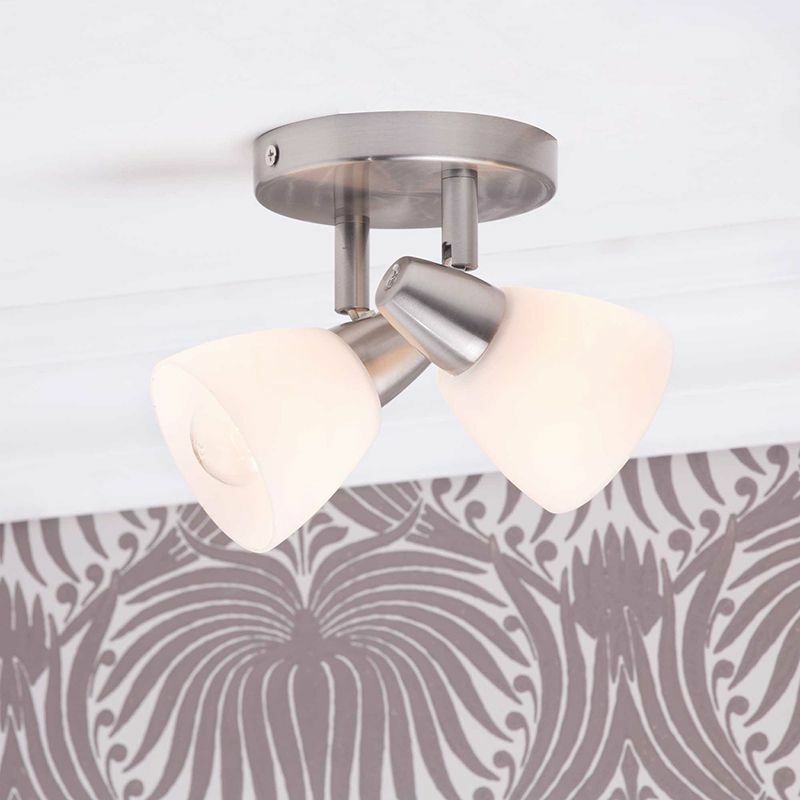 They also come in a wide variety of shapes and designs, meaning there is a spotlight plate to suit every interior! Recessed downlights are a more discreet and practical style of lighting for your home, which have a slim and fashionable image that is coupled with a more direct and purposeful sense of light that is immensely useful within your home. Recessed lighting is great for creating a wonderful contemporary look, and can provide excellent coverage when used properly. When using recessed ceiling spotlights, be sure to avoid setting them out in a grid method, and instead opt to fit them in the areas where they will be most useful and will give the best coverage to your interiors. As you can see, there isn’t one simple trick to finding the perfect lights for your home, and the only way to really discover which ones are suitable for your home is to assess the interior and figure out which style of light will be most effective. However, we hope that this post was able to offer a few helpful hints and a little bit of guidance when it comes to your ceiling spotlights, and has helped make the task of designing your new lighting setup a little bit easier! For more tips on your home lighting, take a look at the brilliant Litecraft blog!